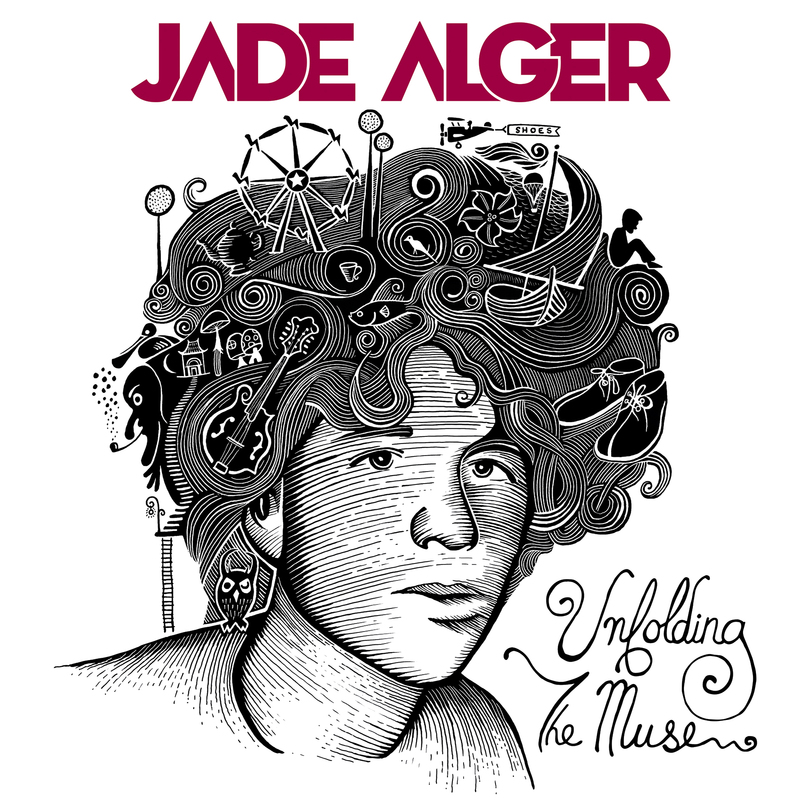 Singer-songwriter Jade Alger is of another time and place. An otherworldly dreaminess pervades all 15 songs on his forthcoming album, Unfolding the Muse, to be released September 9, 2016. A master of atmosphere, Jade engages his audience through emotion and imagery layered in string textures. The album’s song sequence runs the gamut of emotions, from magical expectation to delicate melancholy. Jade wanted to capture the happy accidents that give personality to a track. Using cardioid condensers alongside Logic, he recorded and mixed the tracks himself in order to produce the sounds as he imagined them. Each song was given the flexibility to evolve without time restraints. Travel, whimsy, romance and melancholy are recurring themes on the album. A portrait of nostalgia, Lakes of Champaign beacons the listener into a world of love and youth. If My Paper Boat Could Sail is a romantic memoir backed by classical guitar arpeggios. Written around Van Gogh’s bedroom paintings, Lemon-Yellow Rendezvous explores the magic and desperation of the artist’s imagination. The entire album is birthed out of this idea of melody and counter-melody. Meandering guitar is woven in and around the rise and fall of the vocal line to produce a labyrinth of sound. The album will be available on CD and download. Visit Bandcamp for high-resolution audio and complete liner notes.